Babeezworld Jupiter Stroller comes with double layers of canopy, with comfortable pad. It sports 3 position reclining seat.It comes with a two pointed belt strap which ensures that your baby stays in place and does not come into harm's way. The EVA handle bar grip is there to make you more comfortable. It comes with a two pointed belt strap which ensures that your baby stays in place and does not come into harm's way. The seat is made with soft, baby-friendly material and extra padding to make sure your baby is comfortable.The seat also reclines at three angles, giving your child the ease of a quick snooze or the support to sit upright for a meal. Go out for a picnic with hubby and your kiddy as a family, stay free of worry when taking your baby with you because Babeezworld has provided a canopy over the stroller. 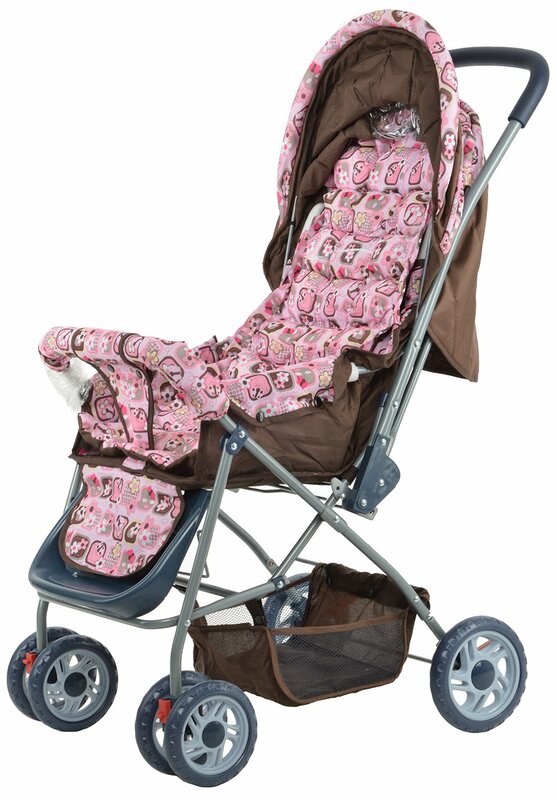 To Recieve updates and possible rewards for Babeez World Jupiter Stroller(Brown) please sign in. To Recieve updates and possible rewards for Strollers & Prams please sign in.